The mission of the Malden Public Library is to provide open access to information and to promote love of reading and lifelong learning to Malden residents and all citizens of Massachusetts. 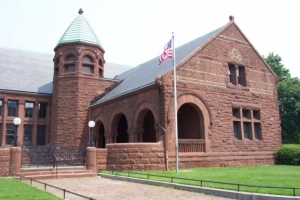 Founded in 1879, the Malden Public Library is a non-profit corporation with partial city support, governed by a Board of Trustees. In 1879, the people of Malden opened the Malden Public Library in a small room in the Town Hall. The library was housed there until Malden’s first mayor, Elisha S. Converse and his wife, Mary, donated money to build the Converse Memorial Building. Opened in October of 1885, the Converse Memorial Building was designed by renowned architect H.H. Richardson. The building housed the library as well as an art gallery. Today the majority of the library’s collection is housed in the new addition which opened in June of 1996.